Alpine hill in the country or in a country house is very fashionable. It is in great demand because it contributes to peace and good rest. 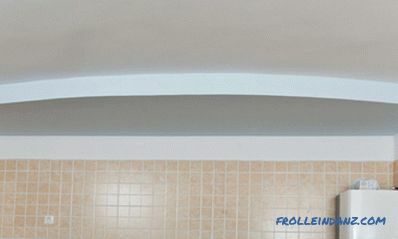 Most often, it is constructed not independently, but with the help of specialists. Designers, of course, know their stuff, but the cost of their services is sometimes fabulous. 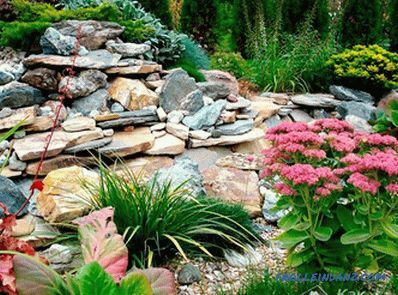 In fact, there is nothing difficult in arranging a rock garden, and it can be done with your own hands in just a day or two. It is only necessary to understand some subtleties in order not to make typical mistakes. 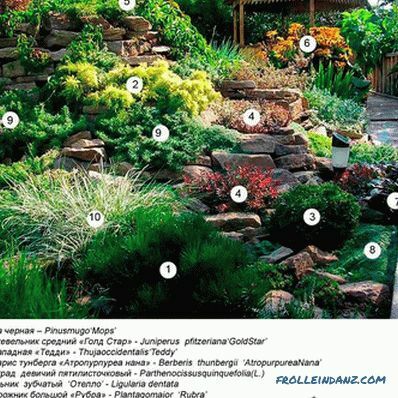 First of all, you need to choose a place for rock garden or rock arias. The second stage is the drainage device. When the plot is ready, you need to pick up the stones and lay them. The next step is to prepare the soil for vegetation. The fifth stage is planting. 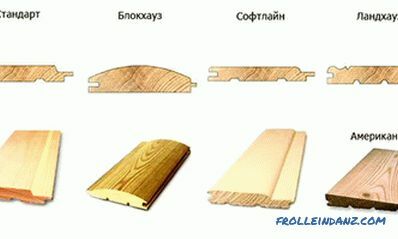 The whole process consists of only five stages, each of which must be disassembled in detail. First you need to choose a sunny and noticeable corner on the site. 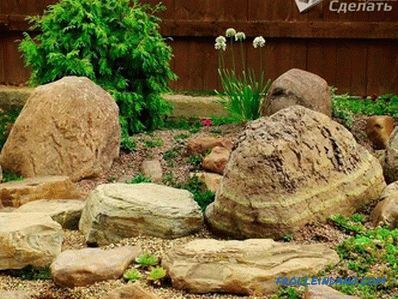 Rock garden is a piece of wildlife, created artificially. 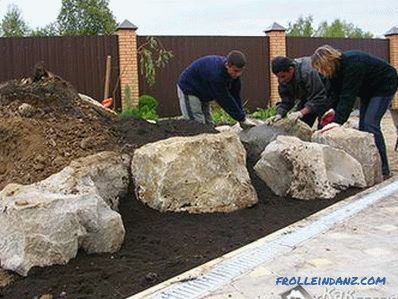 Therefore, we must make sure that the stones and the plants fit organically into the landscape. A shaded place is not suitable for such purposes. Likewise, the area hidden from the eyes will not work. The best place to go is the south side. Usually there is optimal lighting in the daytime. You need to build on a good drainage system. Otherwise, one day, the soil under the alpine slide will begin to subside, and it will not look so aesthetically pleasing and natural. How to make a drainage system? First you need to dig a pit. The depth of the pit depends on the area of ​​the future rock garden. So, for a rock garden sized 2.5 by 2.5 meters, the optimal depth of the pit will be about 1 meter. A drainage system should be installed at the bottom. Here you can use sand, rubble, debris, shards. Wood chips, however, can not be laid. The fertile soil is laid on top of the drainage. The last stage is a tamper. When drainage ready, you need to pick up the stones. Stones are laid in tiers. 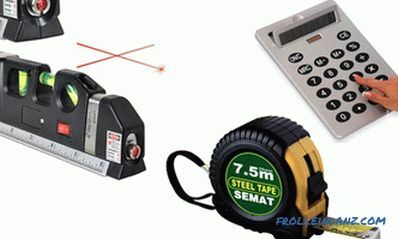 Below are those that are larger. At the very top you can put some unusual or especially beautiful instance of a boulder. 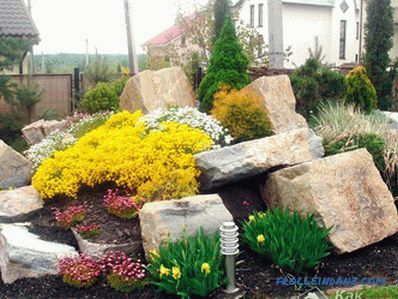 When choosing boulders, it is necessary to take into account that the smaller the size of the rock garden, the smaller must be the size of the stones. For a big hill, you can take boulders of decent size, and for a small limestone it will come down. Choosing stones The only criterion that the plot owner must follow when building a rock garden is a criterion of naturalness. That is, do not be too zealous. The excessive randomness of the location of the stones is as unnatural as the correctness. It is not necessary to take several different rocks of boulders. Usually in nature, heaps of stones are found from the same breed. The advantage should be given to natural materials. 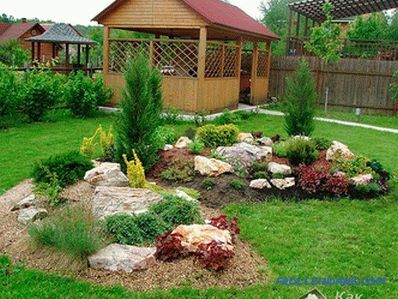 To make a rock garden look really amazing, it is necessary that it looks good even in the absence of vegetation. This is the secret of the masters. A hill, as a rule, has from 3 to 5-6 tiers. When laying stones, we must remember that in a short time there will have to be planted plants. 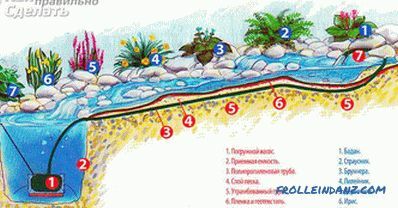 Therefore, it is necessary to pour a layer of moist fertile soil between the tiers. Do not lay the stones too tightly. For in order to plant vegetation on an alpine hill, you need to carefully prepare the ground. You can do it yourself. 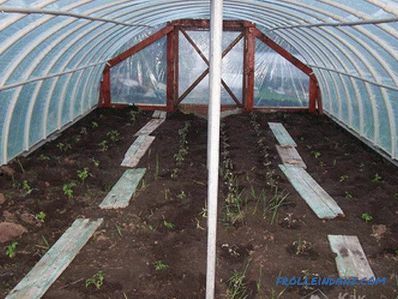 To do this, you need to take a clay soil that is clean enough so that later weeds do not appear on it. The soil is mixed with peat. Peat should be three times less than land. Next you need to add to the soil a little gravel. Soil is poured into the places that are intended for landing. These can be crevices and empty spaces between boulders. You can also just pour the soil on the stones. 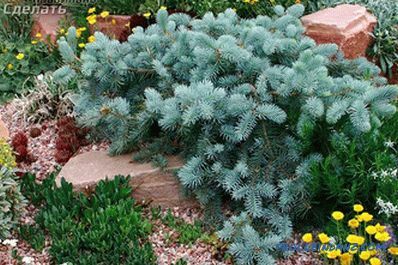 Alpine slide plants are selected according to certain criteria . They must be unpretentious. 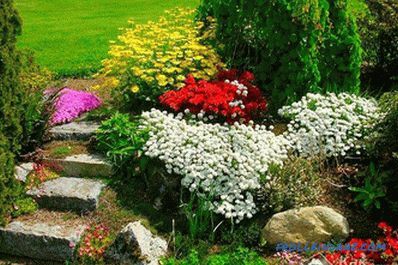 This ensures that the owner does not have to constantly take care of his stone garden. 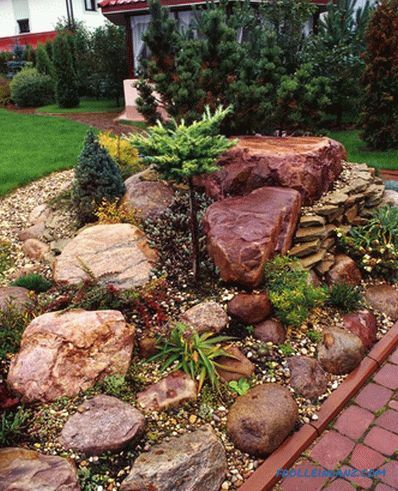 After all, rock garden should be as natural as possible. This means that it is necessary to limit the intervention of a person in his environment. Plants should be pleasing to the eye, not only in summer, but even in the cold season. All vegetation must coexist peacefully. Avoid planting on the hill of those species that are hostile to each other. 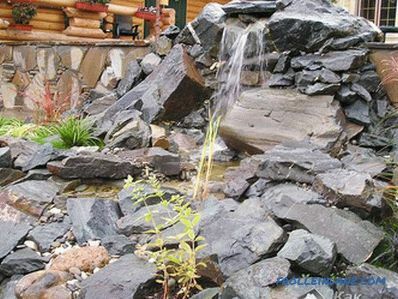 Choose unpretentious and cold-resistant plants compatible for the alpine slide together. The top is usually planted with low-growing shrubs. It can be both deciduous and coniferous trees. 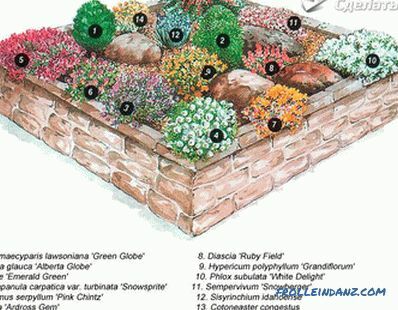 So that you can enjoy the beauty of your creation all year round, you need to plant both types of shrubs. 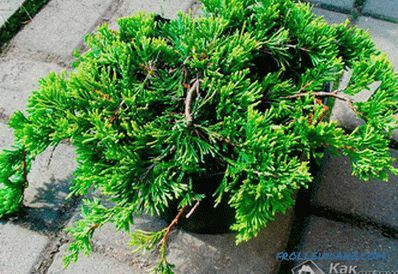 From conifers perfectly suited juniper, mountain pine and thuja. As for hardwood, then you can plant a cotoneaster. However, the choice of trees is best left to the owner. Flowers for an alpine slide are selected according to the same criteria. The most important thing is their compatibility and unpretentiousness. 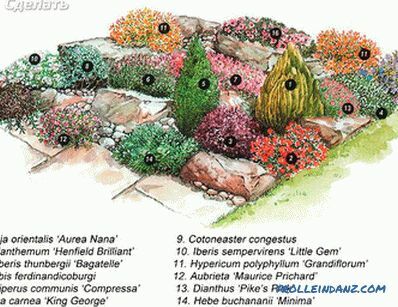 Rockery - rock garden, rock garden - garden plants. The rockery is, first of all, a rock garden. Here, vegetation may not be used at all or be present at a minimum. Rockery is usually not very high. The rock garden can have a height of up to three meters, which is 3 times the size of the highest rock aquarium. 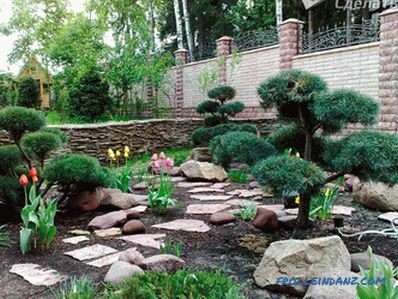 Such facilities like rock gardens and rockeries, have existed in Eastern culture for three thousand years. They came to the West a couple of centuries ago from China and Japan. With their special charm, rock gardens instantly conquered the hearts of aristocrats and wealthy people. Very soon a fashion appeared to create such recreation corners. The philosophy of creating these structures is that they are unique. In the world there are many rock gardens. However, you can not find at least two similar. Use techniques that nature itself serves . There are a lot of such sketches, and some of them are very difficult for a beginner. However, there are quite real projects. For example, the "Alpine Highlands" - this is one of the classic versions of such structures. It repeats the features of a typical highland. It is made of boulders and stones. Plants such as edelweiss and gentian are planted on them. At the very top you can place small pines. True, the flowers will have to care for. They grow too fast. 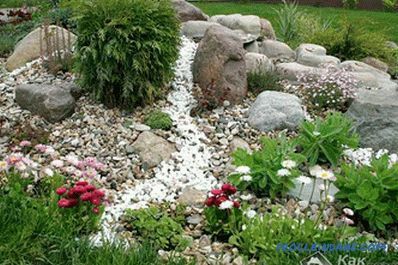 More complex varieties of rock gardens can resemble gorges, marshes and ravines. Such work will require several days of hard work. It is more realistic for an independent creation of a slide imitating an alpine slope with an embankment. On such a slope pine trees will look great. Imitation of a rocky cliff is also suitable for self-construction. True, there may be difficulty with the stones. It will require very heavy boulders, so it will be necessary to attract workers. On the cliff, you can plant plants such as wormwood and ferns. At the top will look good juniper bushes and pines. Due to the presence of coniferous trees, the rock garden will decorate the garden all year round. 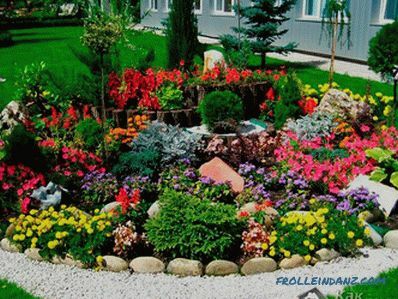 You can find an idea for a stone garden by looking at pictures of nature. The rock garden is the kind of creativity that pacifies itself. In order to create a masterpiece, you only need to be able to watch. Standard schemes do not exist here. After all, even two slopes cannot resemble each other. If you don’t want to do this work yourself, order landscape design and landscape design on site. Also, landscaping includes planting trees, flower beds and landscaping the site.